291 Stanhope. Image via Google maps. A worker was seriously injured in a fall from scaffolding on Wednesday evening at a Stanhope St construction site which was declared unsafe by the DOB three weeks prior to the accident. 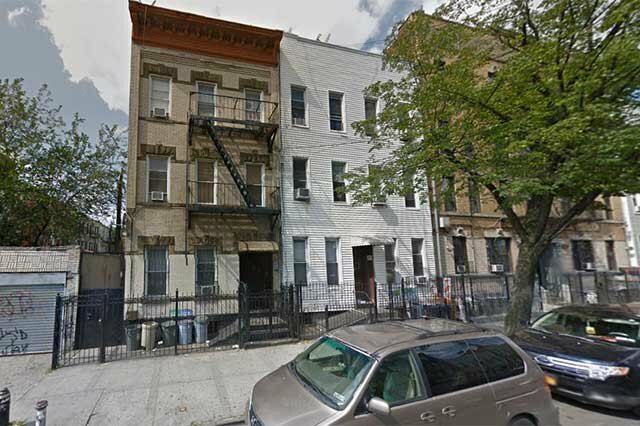 FDNY officials tell Bushwick Daily that the incident, which occurred shortly after 6:30pm at the 3-story building at 291 Stanhope street between Irving Ave and Wyckoff Ave, required a response involving a fire truck with a ladder to assist in the rescue in addition to EMTs. 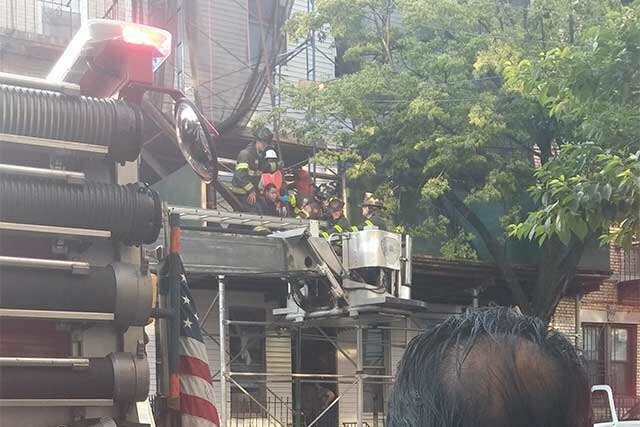 The worker was transported to Elmhurst hospital, where his injuries, which are serious but not life threatening, are being treated, the FDNY says. Neighbors look on as the FDNY responds to a construction accident at 291 Stanhope Street. Cristin Noonan for Bushwick Daily. According to Department of Building records, a DOB inspection of the site on May 11th resulted in a slew of complaints about the project, including several about the scaffolding, one of which resulted in a stop work order. The building's first and third floor apartments were undergoing renovation at the time of the incident.